How Do I Know if There is a Warrant for My Arrest? - Crooks, Low & Connell, S.C.
How Do I Know if There is a Warrant for My Arrest? If you are concerned that there might be a warrant out for your arrest, it is imperative that you find out and take control of your situation. Turning yourself in under appropriate conditions (or having the warrant quashed) will usually lead to a far better resolution than being arrested with an outstanding warrant, and the last thing you want is go before a judge to explain not only (i) why you did not show up the first time (assuming you have a bench warrant), but also (ii) why you chose not to turn yourself in. 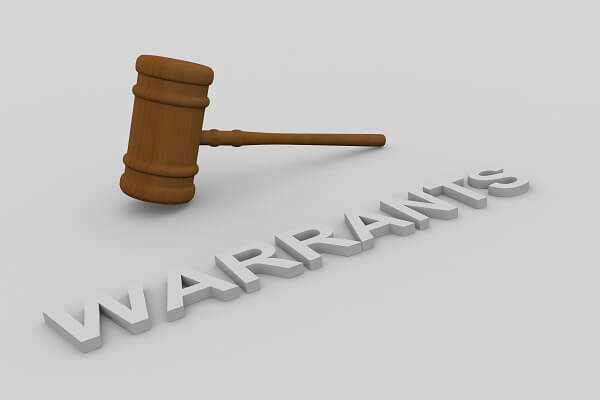 In most cases, if you are facing a warrant, it will be what is known as a “bench warrant.” This is a warrant issued directly by a judge (not at the request of law enforcement) as a result of a failure to appear in court or a refusal to obey a court order. For example, you may have a bench warrant for your arrest if you did not show up at your court date for a DUI, drug offense, or other criminal charge. If you are delinquent on child support payments and have ignored your co-parent court filings, this is a scenario that could lead to a bench warrant being issued, as well. To find out if there is a warrant for your arrest, you can search the Wisconsin court system’s Consolidated Court Automation Programs (CCAP). The CCAP is an online database of Wisconsin state court records, including bench warrants issued in connection with criminal and civil matters. Click to access the Wisconsin CCAP: Find out if you have an arrest warrant in Wisconsin. The CCAP may not be completely up-to-date. While the site is updated hourly, its disclaimer notes that technical problems may result in delayed postings of court records. The CCAP is a Wisconsin state court database. If you have a federal warrant or a warrant in another state, it will not show up in the CCAP. Certain types of records are not made public through the CCAP. These include (but are not limited to) records from juvenile delinquency and child protection proceedings. What Should I Do if I Have a Bench Warrant in Wisconsin? If you have a bench warrant in Wisconsin, we strongly recommend seeking legal advice. While the police likely won’t be looking for you just because you have a bench warrant, if you get stopped or pulled over, you will be (or should be) arrested. An experienced attorney will be able to help protect you when you turn yourself in, and depending upon the circumstances your attorney may also be able to have your warrant quashed without further repercussions. Contact an Attorney at Crooks, Low & Connell, S.C. If there is a warrant for your arrest, or you are concerned that you may have a warrant, contact Crooks, Low & Connell, S.C. in Wausau for a confidential consultation. To discuss your situation with one of our experienced defense lawyers, call (715) 842-2291 or get in touch online today.